This month on Toptal Design World News, we cover everything from keyframe animations in Sketch to codeless eCommerce and design company mergers. 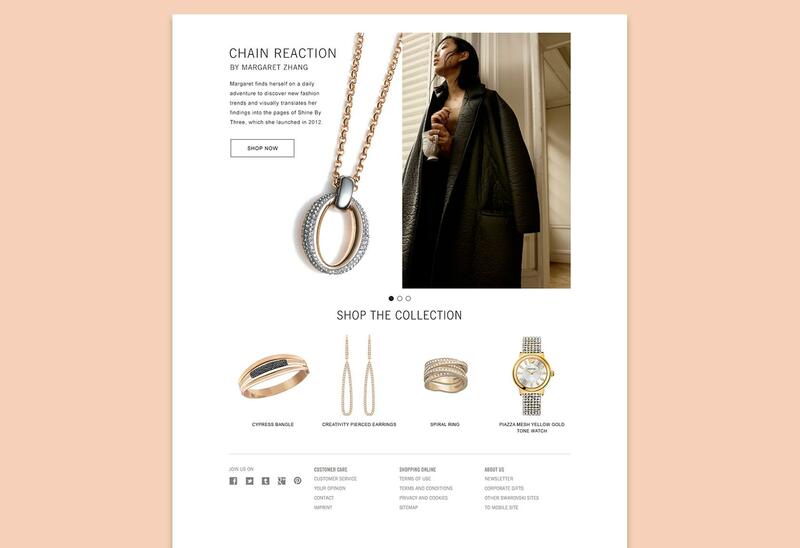 Plus, we’re highlighting the elegant design work of Toptal Creative Director Christina Barsan, who partnered with Swarovski to improve user engagement on the acclaimed jewelry brand’s global website. Anima’s latest Sketch integration—Timeline—allows Sketch designers to create GIFs and videos in Sketch using keyframe animations. Designers familiar with Keynote and After Effects will feel at home using Timeline to prototype animations and interactions. Webflow has announced new features for their visual web design tool that will allow eCommerce web designers to design and host secure, responsive eCommerce websites without code. Wake has teamed up with InVision to announce Wake Free, although a version of the popular design visibility tool that more closely integrates with the core InVision app is being developed in the meantime. Wake helps the right people get involved in the product design process earlier and contribute ideas that will shape the final outcome. Artboard Studio is an upcoming web-based graphic design tool built to help brand designers create product mockups in just a few minutes. Design Systems Repo is an extensive collection of resources dedicated to design system fanatics, including but not limited to articles, tools, talks, and of course, real-world examples. 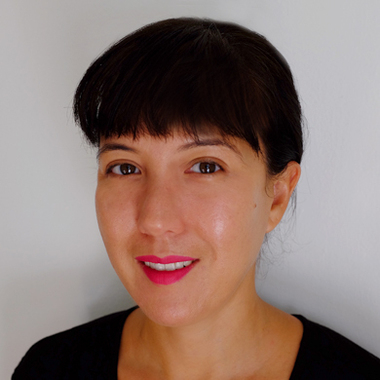 Christina is a digital designer and creative director with over 15 years of experience as a visual thinker, problem solver, manager, collaborator, and lover of technology. She constantly seeks to help her clients create the ideal brand for their business that aligns with their big vision. 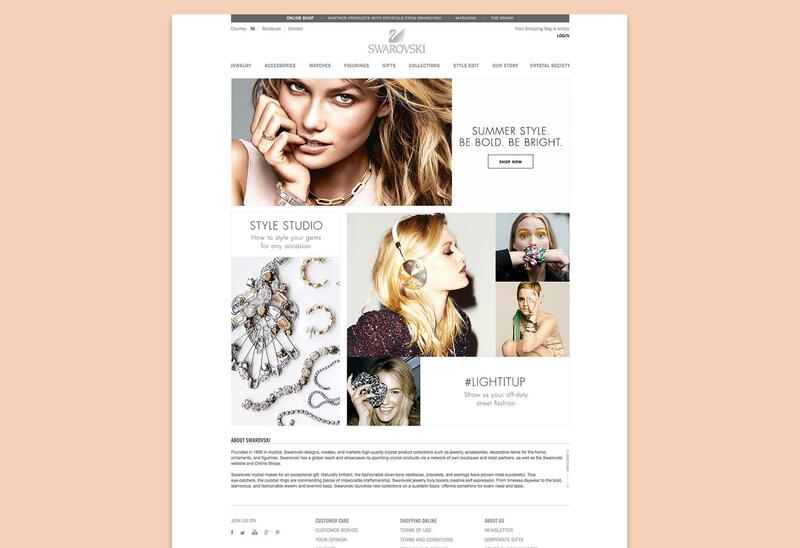 Swarovski wanted to redesign certain areas of their global website as well as add some new sections to create more user engagement. Along with the site updates, we were asked to create animated banners, social media integration, an app, and an email campaign. Our objective was to create a modern, fresh aesthetic while still maintaining a consistent overall brand look and feel through various touch points. My first step was to work alongside the content strategist to understand Swarovski’s business goals and user needs. I then worked with the UX designer on user flows and wireframes. Based on my collaboration with the content strategist and the UX designer, I created various sketches and concepts for how the interface might look. Once we had a solid direction, I worked within a grid layout system to design the visual elements, choosing colors and fonts. I also focused on the interactivity of each element and created several animations. Once the UI design mockups were approved by the client, I created a style guide to ensure consistency when moving forward with the designs. The final outcome was an integrated yet modern update to an iconic brand’s digital presence, which resulted in increased user engagement. I was really happy with the end result and so was the client. I worked with a great team and had fun doing it–to me, that’s a win-win! If you haven’t done so already, make sure to follow Toptal Designers on Twitter, LinkedIn, and Facebook to stay up to date with the latest from our blogs including best practices, how-to guides, in-depth analysis of hot topics, and much more. Thanks for reading this issue of Toptal Design World News. We’ll be back in May with another exciting installment, so don’t forget to subscribe to have the latest news on design innovation and trends dropped directly into your inbox. With articles written by leading designers from the Toptal network, the Toptal Design Blog covers a diverse array of relevant design topics and serves as an informational and educational hub for design industry experts from across the globe. Subscribe today and discover the world-class design resources published by the Toptal network.